Back issues of Amon Hen and Mallorn, respectively the bulletin and journal of The Tolkien Society, have been digitised and made available to members. Through the British Library, the Society has completed the first stage of digitising Amon Hen, as well as the full back catalogue of Mallorn. 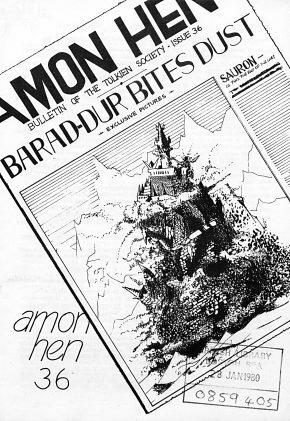 Members can now access Amon Hens going back to issue 35 in October 1978, as well as every single edition of Mallorn going back to October 1970. This includes Mallorn 33, also known as the 462-page Proceedings of the J.R.R. Tolkien Centenary Conference 1992. The digitisation of our back catalogue of Amon Hens and Mallorns is a great step forward for the Society, and a huge additional perk for our 1,500+ members. For just £30 a year, members can now get access to 50 years of content, providing a valuable resource in the study of Tolkien as well as the history of Tolkien fandom and scholarship. At its heart, it shows what an open society we are, and our continuing and passionate commitment to our charitable aim of educating the world on the life and works of J.R.R. Tolkien. How do I access the digital archive? The digital archive is available to all members of The Tolkien Society. Members should login to the Members’ Area and visit the Download Amon Hen and Download Mallorn pages. If you’re not a member, join today!